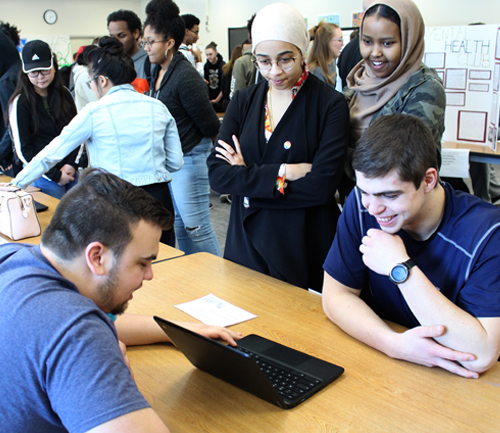 MCIS is the Minnesota Career Information System that is used by high school students to research careers, colleges, practice for college entrance exams and create a portfolio and resume. Your account is free and you can access it even after you graduate from FHS. How do I practice for the ACT/SAT or other college exams? Click on “My Portfolio” and choose College entrance exams in the test prep section. Choose the test you are practicing to take. There are practice tests as well as online lessons for each test. How do I search for colleges? Click on the Education tab. You can search for colleges by major or region as well as clicking on the school sort for more search options. Financial aid and scholarship information is also in this section. How do I search for careers? Click on the Careers tab for various ways to search careers. What if I don’t know what career I want or college to go to? Click on the Assessments tab to learn more about your interests and strengths. The Career Clusters Inventory, IDEAS assessment, SKILLs assessment and the Interests Profiler will help you learn about your interests and how they relate to careers and college majors.